Came across this letter by Mr. Siu Yow Wee in the ST forum on why the government should make surrogate motherhood legal.... which was absolutely absurd! 1) Women who cannot give birth or career women climbing the corporate ladder who do not want to give birth can fulfil their needs. Women who cannot give birth can still resort to test-tube babies. Career women who do not want to give birth and yet want to fulfil their needs of having a baby is conflicting! When a mother does not want to give birth, for some reason and engages a surrogate mother, the bond between the mother and child is instantly broken. Hence nothing is fulfilled! 2) Non-working women who want to supplement their family income can be surrogate mothers to help these other women. Also, explore allowing foreign maids, employed solely for this purpose, to act as surrogate mothers, but ensure that their pay is fair and their welfare is monitored. On top of that to treat foreign or lesser well-to-do women this way is equivalent to treating them as machines! Child-bearing machines! This is utter disrespect for women and motherhood! 3) This will help to reverse the declining birth rate and boost the replacement ratio. One of the reason for declining birth rate is, our women or rather married couples are not able to see the value of having a child yet. They see the cost and stress of having to raise one especially in Singapore. 4) Singapore can enhance its reputation as a first-class medical hub that offers surrogate motherhood services to Singaporean and even foreign couples. This will boost medical tourism and research and development on surrogate motherhood. I'm sorry, I don't think I want my country to be known for this and be proud of it. What is going to become of us if giving birth is to become a business? And what will become of our 'Roots' which our children nowadays are already lacking the knowledge or interest in? In conclusion, the government should not even consider it at all! The article, Reconsider 5-day week?.... makes me see red! "MORE free time did not result in more babies, so people should go back to work on Saturdays. " What rational is that? No correlation at all! Implementing a 5-day work week has nothing to do with making babies! It is in my opinion , for work-life-balance. It is to encourage more family time. It is time-off for singles to have more time to socialize and hopefully get married. That 1/2 day is not going to make married couples make more babies. On top of that, a person who is working on a 5-day work week may still end up to be working 5-1/2 days due to the amount of overtime. 'I urge the Government to take steps to determine whether our productivity and competitiveness have been affected by the five-day week and to review the policy, if necessary,' he added. It is sad to know that Singaporeans have to work extra long hours to be competitive. By the way, if you work overtime you are hardworking. But in the States, bosses will think that you are inefficient hence not able to complete assigned work on time! That was what Ms. Pam Hu from MDA claimed in the Straits Times forum today. A comment from one of the user online, highlighted an interesting point that is, only 5 countries (including Singapore) in Asia charges TV license. And Singapore being the richest country in ASEAN is the only one that charges TV license. It might be the lowest but it is not justifiable. The channels we are exposed to is just too little! The other 4 countries that charges TV license are; Israel, Japan, Korea and Pakistan. The television licence for 2006 is about €70/ year. The licence fee is the primary source of revenue for the Israel Broadcasting Authority, the state broadcaster; however, its radio stations carry full advertising and its TV programmes sometime receive "sponsorship" from commercial entities to supplement this income. Licence fee for terrestrial television broadcasts is about €110/ year. However, the quality of the program is so much better and having just came back from Japan, they had channels such as 'National Geographic', 'Animal Planet', 'Cartoon Network', 'Discovery Channel', 'Star Movies' and 'CNN'. For us to watch channels as such, we need to pay an additional amount on top of the license. Television licence fee is about £15 or €25/ year. It has stood at this level since 1981. Television licence is around €3.86/ year. Part of it goes to KESC. Other Asia countries that don't charge TV license are; Malaysia, Australia, India, Brunei, Thailand and Indonesia. The last time when I was in Jakarta, I can view up to at least 12 channels! For years, my mum has been asking me what are we paying for with the $110? SIX MPs - five of whom were from the labour movement - took opposition MP Low Thia Khiang on Tuesday over his criticisms of the Jobs Credit scheme. In a lively exchange that was a highlight in the debate on the Budget Statement, the MPs took turns disputing the Hougang MP's critical comments of the wage-subsidy scheme. An abridged version of this was repeated a few hours later when Nominated MP Siew Kum Hong agreed that the scheme would not save jobs. At one stage, even labour chief Lim Swee Say jumped in to defend the scheme. On his part, Mr Low grew progressively more opposed to the scheme as the 20-minute exchange wore on. The cut and thrust of the debate was sparked off by Mr Low questioning whether the $4.5 billion initiative would be effective in staving off retrenchments. The proposed scheme gives bosses a 12 per cent cash grant on the first $2,500 of wages for every local resident worker on their CPF payroll. The grants are paid quarterly. Mr Low questioned if this system would save jobs in companies where sales could not sustain overhead costs. 'Between waiting three months for $900 cash rebate from the Government versus saving $7,500 immediately by retrenching a worker, which choice does the Government think a struggling employer will make?' he asked. He then suggested the scheme will simply benefit profitable companies that have no intention of retrenching workers. Other MPs were quick to respond, pinning him down on whether he believed the scheme had no benefits. Mr Yeo Guat Kwang (Aljunied GRC) asked if Mr Low was aware that the savings from the scheme will spur Sheng Siong to open more outlets, each one creating 80 more jobs. Ms Jessica Tan (East Coast GRC) asked if he was aware that the scheme was targeted at making Singaporeans more attractive to employers. 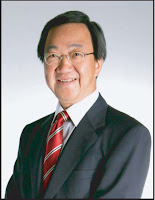 Mr Low maintained a tone of scepticism until Mr Heng Chee How (Jalan Besar GRC) asked him pointedly if he thought the subsidy would not reduce the risk of retrenchment. Then, his scepticism turned into full-blown opposition. Watch Low Thia Khiang's speech in parliament and you will understand why the need to have more in there! By the students for the students! I would like to call upon readers of my blog to support this petition because it is a campaign by the students, for the students. That may not necessary means that if you are not a student you cannot participate. Because as parents or working adults, if your children are able to enjoy better transport fares that means lesser expenses for you. Read on to find out more about the upcoming event as well as an exclusive interview on Channel News Asia.